Share this information with Sales and marketing staff. Do you want to earn a good income? Consider sales. Everybody has to be salesperson. You have to sell yourself in a job interview. Salespersons have unlimited earning p potential. If they work hard they can earn a commission. If they do not, close deal no income. No sale, no money, no life. What makes a good salesperson? The individual must have passion, purpose and people skills. The salesperson needs to believe in the product in he or she is selling. I remember when I was in Key Club during my high school year. We sold fruit cakes wrapped in white and red boxes. I hate fruit cakes. I hated to sell fruits cakes and I did a poor job. You need to have a passion to sell your product.Purpose, Rick Warren sold a best-selling book about having a purpose driven life. What is your faith? Your family? What are your goals? A good salesperson has a purpose in their life and career. The purpose gives the salesperson a compass to stay on track. 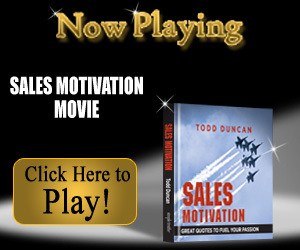 Purpose motivates the salesperson to earn an income. Sales can give someone a very good career. What is your purpose in your life? People skills make a big difference. Sales people excel is this category. They know how to read people. Zig Ziglar wrote a book See You at Top. He provides excellent examples for salesperson. Zig talks attitude. It’s about having a positive mental attitude. Zig explains you need to have specific goals. Do you know a salesperson? What do these people have in common? The have self-confidence. They believe they have an internal self-control. They make things happen. They make more money than average person. Salesperson believe in themselves. Sales and marketing movies, them Watch today.